Home » Blog » What Happens When a Driver Leaves the Scene of a Sarasota Crash? What Happens When a Driver Leaves the Scene of a Sarasota Crash? Florida law mandates every driver stop if they are involved in a collision which causes property damage, injury, or death. Drivers are expected to know this rule, including teenage drivers who may have just gotten their license recently. Motorists are also expected to stop after car accidents even if they do not believe they were at fault for an accident. 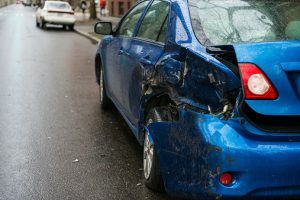 If a driver leaves the scene of a collision, the consequences can be serious for the victims of the accident, as there may be a delay in getting medical help and as victims may have a harder time seeking compensation for collision losses. The driver who left the crash scene can also face serious consequences, as a recent accident in Sarasota demonstrates. What Happens When a Driver Leaves the Scene of a Crash in Sarasota? WFLA recently reported on a tragic accident in Sarasota in which a teenager left the scene after being involved in a collision. The teen was involved in an accident on I-75 at around 3:00 AM on a Tuesday morning. He was 16-years-old and was driving a 2008 Volvo when his car was reportedly struck in the rear by a tanker truck with 8,500 gallons of gasoline. The tanker ended up veering off the interstate after hitting the Volvo. It went into a grassy area off of the interstate and it subsequently overturned and started on fire. The driver of the tanker truck died. The teenager did not stop his car. It is not clear yet why the truck hit the back of the car or who was at fault for the accident. However, the teenager who was driving when the Volvo was involved in the collision is now facing criminal charges because he left the scene. Investigators found the vehicle a short time after the incident and identified the teen driver, who was then charged with a felony for leaving the scene. Police investigate when drivers leave accident scenes, especially if the crash is a serious or a fatal one. Witnesses are asked to provide information, news alerts are sent out, and other efforts are undertaken to try to find drivers who don't stop after an accident. Social media has also become a major source of information for police, with many past examples of situations where hit-and-run drivers were identified via Facebook postings or information posted online. After this particular Sarasota accident, the teen passenger involved has also found himself under fire for his use of social media. The teen took a picture of himself in front of the wrecked Volvo, and My San Antonio reports he posted the picture along with a caption saying "Rip volv." There were also two emojis included with the caption: one with a smiling face with a tear on its brow and the other a semi-truck emoji. The picture went viral, causing outrage. Whether police use social media or other investigative tools to find hit-and-run drivers, they can be found and held accountable in many situations. If the driver who leaves the crash scene is found, this can make it possible for victims to pursue a claim for compensation if that driver was to blame.